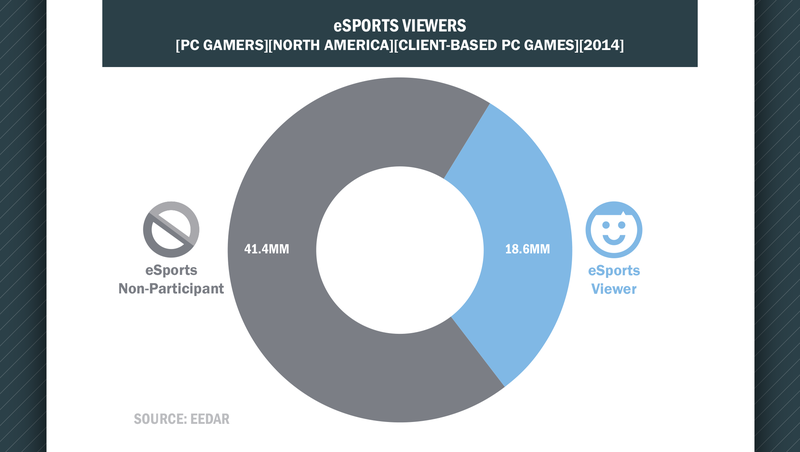 EEDAR’s Patrick Walker VP, Insights and Analytics provided some insight into eSports viewers and preferences to GamesIndustry.biz. The major players in the eSports supply chain, including the publishers of competitive multiplayer games (e.g. Riot, Valve), eSports leagues (e.g. ESL), and content distribution channels (e.g. Twitch) have done an excellent job of creating a viewing experience that makes viewers feel like they are also involved in the tournament. Team-based tournament betting, in-game items that show team support, merchandise, and microtransactions that increase tournament prize pools have all helped to drive this engagement. 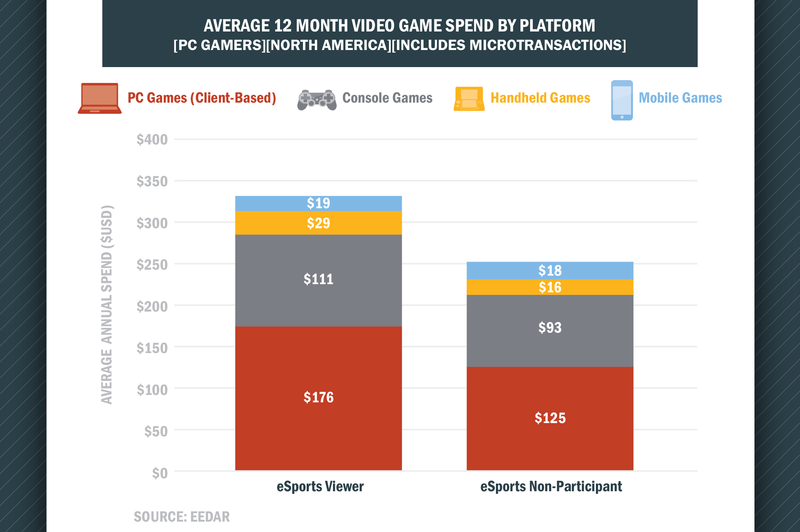 This has helped create an audience that spends almost as much on the competitive gaming hardware as the tournament players themselves – and is a goldmine for tournament sponsors.